The IIT madras has released the GATE 2019 score cards, you can now download the score cards on the official website of the Indian Institute of Technology Madras which is www.gate.iitm.ac.in. All candidates who took the written Gate exam can now download their score cards. Please note that the Gate 2019 Score Cards will only be available for candidates who qualified in the exam. 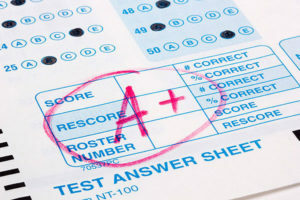 Candidates who took the exam can download the score cards from March 20 to May 31, 2019. The GATE 2019 written exams were held on February 2, 3, 9, and 10, 2019. The GATE Written Exam Result 2019 was released on March 15. Candidates who took the GATE 2019 exam are also eligible to apply in the ongoing recruitment for the PSU Jobs. It is mandatory to have a GATE score before you can apply for a job in the PSU. The first step is to go to the official website of the PSU. The second step is to fill up the application that can be downloaded on their website. The third step is to click on the GATE details tab and enter the required details pertaining to GATE 2019. The fourth step is to hit the “Submit” Button. The GATE 2019 written exam was conducted by Indian Institute of Technology Madras. The GATE is an national level postgraduate entrance exam that is conducted by the IISc and the 7 IITs of India.